Last month I ran two Business Intelligence pre-conferences in South Africa. A interesting request arose during the course of the preconference in Cape Town. The individual wanted an approach to extracting data from an OLAP cube that would avoid intensive utilization of MDX and more reliance upon T-SQL. His main concern was with filtering the data at run time, via the report front end. Even if you are a SQL veteran, actually especially if you are, you sometimes get really stuck doing something in the old way not realizing that in newer versions of SQL Server some handy functions have been added that can make your life easier. In this article, I will mention a couple of these which appeared in SQL Server 2008 or later versions or might have even been there before but most people just didn’t know about. One of the exciting things to look out for in a release of SQL Server are the new built-in T-SQL functions that are usually introduced. Some of the reasons for the new functions may be because SQL Server is catching up to other competitors, attempting to stay ahead of the competition or simply responding to SQL Server feature-requests from the Microsoft Connect site. In this article, I take you through my top 5 T-SQL functions released in SQL Server 2016. With today’s challenging economic times it has become more and more important to manage and rectify changing sales patterns and trends. In today’s “get together” we shall be expanding our outlook by creating efficient and effective reports utilizing SQL Server Reporting Service 2016 and T-SQL, together with the DAX code that we created in our last “fire side chat”. 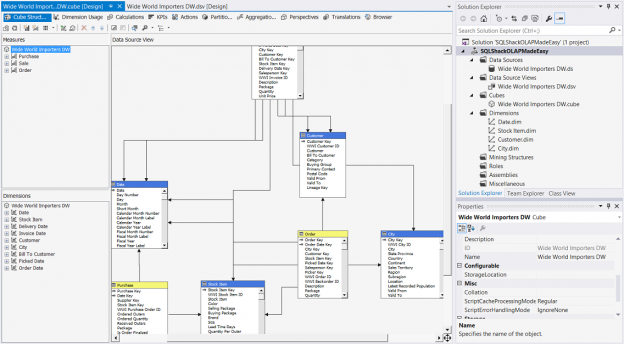 A common activity when writing T-SQL queries is connecting to local databases and processing data directly. But there will be situations in which you need to connect to a remote database that is located in a different instance in the same server or in a different physical server, and process its data in parallel with the local data processing. SQL Server provides us with four useful methods to connect to the remote database servers, even other database server types, and query its data within your T-SQL statement. In this article, we will discuss these four methods and how to use it to query remote SQL Server databases. Snippets are a great productivity feature to speed up typing of repetitive T-SQL. Snippets were introduced in SQL Server 2012 as part of SQL Server Management Studio (SSMS). Snippets are XML templates with predefined fields and values that render into T-SQL, when processed by the query window. In relational databases, operations are made on a set of rows. For example, a SELECT statement returns a set of rows which is called a result set. Sometimes the application logic needs to work with a row at a time rather than the entire result set at once. In T-SQL, one way of doing this is using a CURSOR. Gaps existence in automatic sequenced columns occurs all the time. Missing identity values (or other sequencing values) occur for a variety of Reasons. The most common reasons include: roll backed transactions, failed inserts and Deletes, large row deletes after delete commands that occur after many inserts to a sequenced table and so forth.